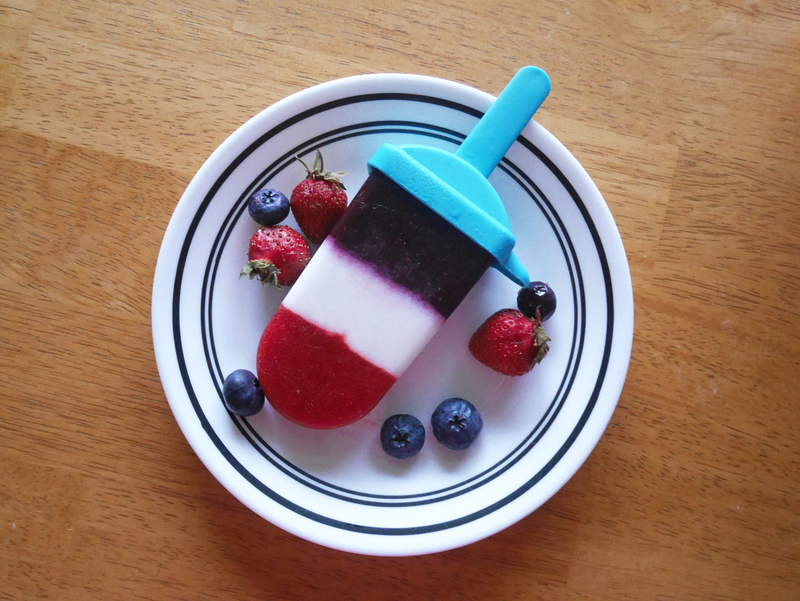 While I love store bought popsicles these homemade red, white and blue popsicles are made with real fruit – strawberries for the red layer, coconut milk and shredded cocout for the white layer, and blueberries for the blue layer! And you can control the sweetness by adding your own simple syrup, sugar, or honey. As an added bonus you can add booze if you want! I added tequila to one of mine and it was delicious (see notes in the recipe for suggested amounts so your red, white, and blue popsicles will still freeze). 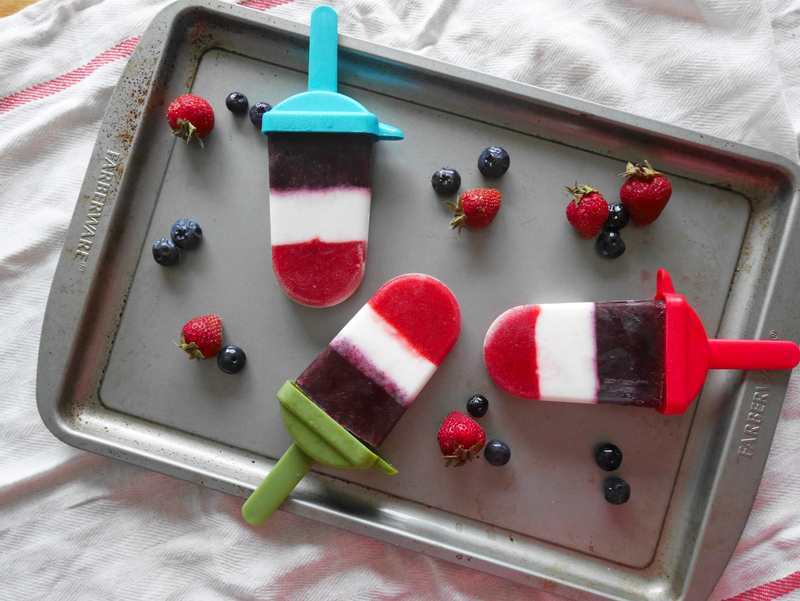 While MDW here in DC has been pretty overcast with random rain so far I’ll still be enjoying these red, white, and blue popsicles poolside at least once! 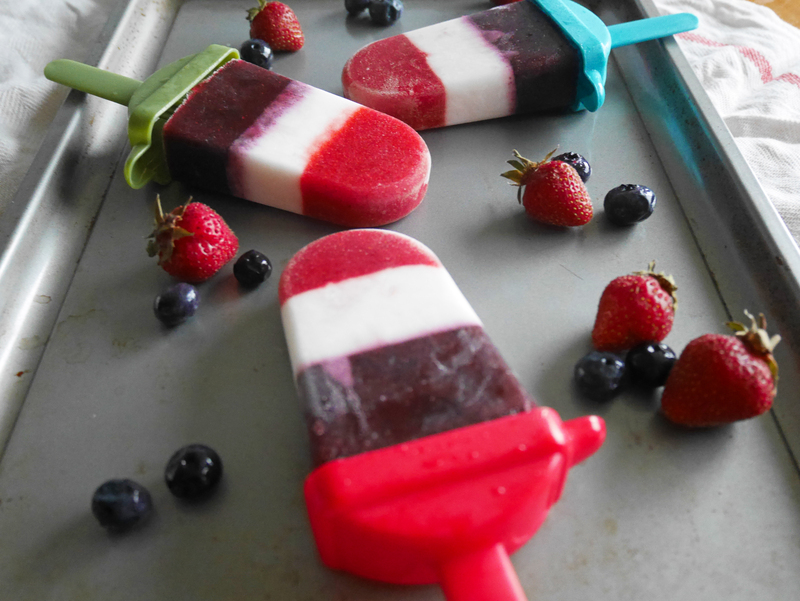 They are also perfect for 4th of July, so keep this recipe in your back pocket! 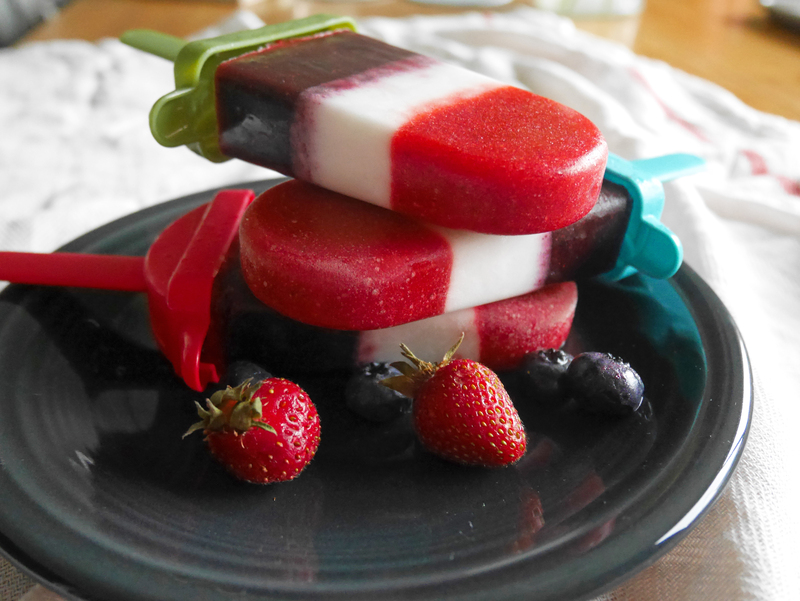 Pour the mixture over the red layer in the popsicle molds, splitting evenly between the 4 molds, place in the freezer for at least 30 minutes. I used simple syrup (1 part sugar + 1 part water, simmer until sugar dissolves then cool) but you can use sugar, honey, or other sweetener of your choice. The amount you will need will vary based on the sweetness of your fruit and personal preference, I suggest starting out low and tasting then you can add more if needed. You can't add too much alcohol to the popsicles or they won't freeze right. 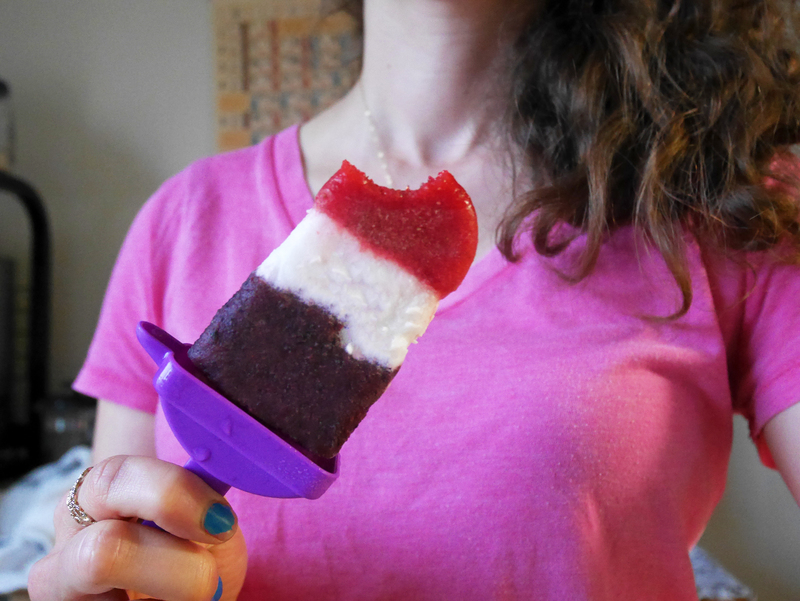 The amount I suggest here ends up being a little less than 1 tablespoon per popsicle. If you get much higher the popsicles will not freeze. 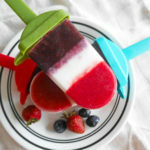 I tried using 1 tablespoon per popsicle (1 teaspoon per layer) and the popsicle did not freeze as solidly as the other (for referece the pop with the purple stick pictured below has tequila in it, the other 3 pops pictured above have no alcohol).